The Social Recruiting Strategies Conference will be making its second stop of the year in Austin, TX. SRSC brings together talent acquisition and recruiting leaders to get the latest on social recruiting trends, candidate experience best practices, and employer branding strategies. Whether this is your first trade show or just need additional tips to get the most out of your conference experience, we’ve rounded up five posts that are sure to help you maximize your time at SRSC and other upcoming conferences. Attending a conference is a great way to discover new trends, tools, and tactics in order to gain competitive advantage. However, conferences can quickly become overwhelming. From pre-planning to post-conference work, preparation is an integral part for your success during a conference. Get insider tips from an experienced conference-goer with 200 conferences under his belt. Traveling to a conference with your colleagues is a fun experience but what happens when you have to attend the event by yourself? For many, attending a conference alone can be a nerve-racking experience, but it doesn’t have to be. Discover 15 ways to enjoy attending a conference alone. SRSC brings together top industry leaders from across the nation. This gives you the opportunity to connect with other recruiting professionals in attendance who can help you learn what’s going on in your industry and get some inspiration from those who have overcome challenges you might be currently facing. But if you think “networking” is a word easier said than done, here are a few tips to boost your confidence and help you network like a pro. With so many people to connect with and so little time, a great way to interact with other talent acquisition professionals is to join in on the #SRSC conversation on Twitter. Share images, quotes, or tips from sessions you’re attending. Not sure where to get started? Follow these six tips to plan a Tweet strategy for SRSC. For additional tips on how to get the most out of your social presence, catch CareerArc’s Mike Curley and clients, April Sherman with Wells Fargo and Jennifer Newbill with Dell session on August 9th at 4:30 pm as they share best practices to drive engagement and develop a social strategy. Conference Burnout Can Happen to Anyone. Here’s How to Avoid It – Inc. Attending multiple sessions a day, walking up and down the aisles at the exhibit hall, and trying to absorb as much information as you can leave you feeling burnt out. It’s important to schedule some downtime to recharge. Don’t be afraid to skip a session to go for a walk or take a seat in a common area. These breaks could even spark opportunities for networking. Learn more ways to take care of yourself in order to keep your focus. Have more tips for SRSC conference goers? 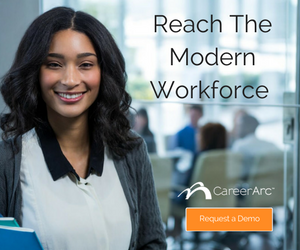 Tweet them @CareerArc using the hashtag #SRSC. 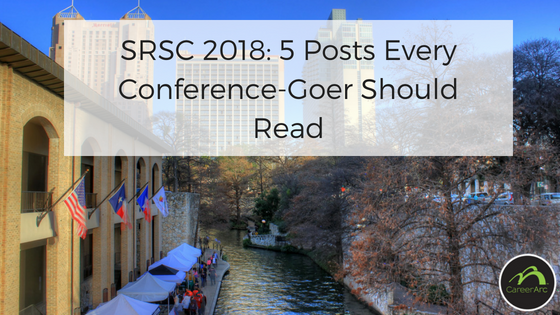 Make the most out of your trip to SRSC and other upcoming events with these five posts every conference-goer should read.